The first tournament staged by the new World Disability Billiards and Snooker (WDBS) body will take place in Gloucester in November. The WDBS was launched this week to give more people with disabilities the opportunity to play cue sports. 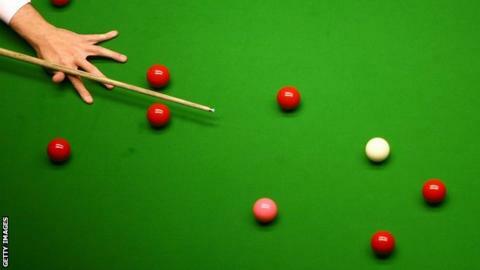 The first event will take place on 28 and 29 November at the South West Snooker Academy in Gloucester. Five different disability classification groups will participate at the tournament. The WDBS has been set up under the auspices of the World Professional Billiards and Snooker Association, with help from the English Federation of Disability Sport. "We are delighted to announce the tournament and are sure it will be a great success," said WDBS chairman Nigel Mawer. "We encourage anyone eligible to take part regardless of their snooker standard. It's a fantastic opportunity to meet others, get free coaching, and compete in a competitive environment." Read more on BBC Ouch!